If you are a student, then I am certain of the fact that you are browsing for world’s top universities that offer international scholarships. For the student, it is quite difficult to manage to pay the universities fees, thus applying for international scholarships is the only alternative. The great news is that there are numbers of world’s top universities that offers international scholarships. Many of the world’s top universities come from different corners of the world. These include United States of America, United Kingdom, Australia, Canada, and France. So, if you have dreamt of studying at top international universities then opting to study in one of these mentioned countries can be your ideal choice. Below, you will go through the list of 10 scholarships for international students offered by world’s top universities. Since the requirements for the scholarships varies from one university to another, hence it would be better if you rigorously read the information about the provided scholarships before you apply for it. Award bestowed by the University of British Columbia in Canada, the scholarships is received the international undergraduate students who have outstanding academic performance, leadership skills followed by student involvement in community service, sports, creative writing, external competitions, and debates. To be eligible for this international scholarship, candidate initially should apply for the undergraduate degree. The candidate should have excellent past academic results and have to be an international student. In other words, applicants should not hold Canadian permanent resident card or Canadian citizen. UC International First Year Undergraduate Scholarships is offered by the University of Canterbury, New Zealand. The scholarship is provided to the international students who want to pursue the undergraduate degree course at the Canterbury University. The university awards the scholarships up 25 applicants. Likewise, award amount $10,000, $15,000 or $20,000 in the duration of one year is bestowed to the selected candidates. To be eligible for this scholarship, you should be international students except New Zealand and Australia. The applications also should be the full fee paying international students who have completed a University Entrance level qualification. This qualification is a permit entry for applicants to join the University of Canterbury as the undergraduate degree programme. Bristol University, United Kingdom offers International Scholarships for ten international students who want to pursue an undergraduate or postgraduate program at the University. The university offers the full-time undergraduate programme designed for the international students. Selected applicants will receive £8,500 that can cover the student’s tuition fees. To be eligible for Bristol university international scholarships, applicants must be ranked as overseas and should have already held an offer of the full-time undergraduate programme at University. Monash University has a various number of the scholarship program for students wanting to apply to it. Among all, it’s Monash University International Merit scholarships is a salient scholarship that is merely offered for the highly qualified international students, keen to pursue an under or post graduate degree at Monash University. Monash International Merit Scholarships is offered by the Monash University located in Australia. The university renders the scholarships to all the international students. Providing 31 scholarships to the selected applicants, Monash University is the best world scholarship for international students. Selected for scholarships are paid $10,000 for a full-time study from the university. Applicants must be the international student, and should be full time under or post graduate degree student at Monash University. Clarendon Fund Scholarships is the top scholarship for the graduate program, which offers around 140 scholarships every year. The scholarship is rewarded based on the applicant’s academic performance and there’s potential across its subjects related to the degree. The scholarship is offered to all the international students. 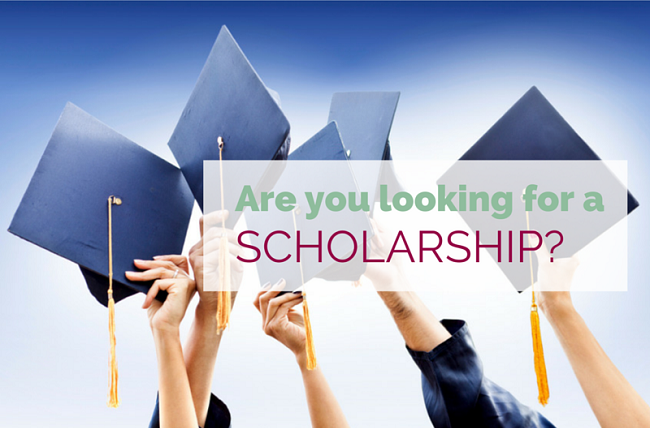 The selected applicants for the scholarships receive a full grant in tuition and college fees. To apply for this scholarship, basically, you need to have an excellent academic report. Gates Cambridge Scholarships is for those talented international students who want to enroll in the University of Cambridge full-time postgraduate degree. Considered as one of the prestigious international scholarships, Gates Cambridge Scholarships offer approximately 95 scholarships every year. Different courses are offered by the university, such as Ph.D., MSc, MLitt etc. in postgraduate for any students residing beyond the United Kingdom. Its scholarship covers the cost of almost everything at the time of studying at the Cambridge University. These include tuition fees, travel costs, allowances for maintenance and more. Moreover, candidates also are provided with additional funding like family allowance, fieldwork, academic development funding etc. If you are interested in applying for the Gates Cambridge scholarships then, you should be the student of outside the United Kingdom, and should apply to get enrolled in full-time residential subjects. TU Delft Excellence Scholarships is the Delft University of Technology that offers the scholarship program for all the international students who wants to pursue any of TU Delft’s MSc programmes at Delft University. The scholarship is awarded to 16 selected candidates in total. It’s one of the full scholarship universities that cover all the tuition fees of the scholarship candidate along with covering the expenses of monthly allowance. To apply for this university, you should be an applicant admitted to one of the TU Delft’s MSc subjects. Furthermore, it is a must for you to have over 80 percent of GPA (Grade point average) from any of the internationally renowned university you graduated from to apply for the TU Delft Scholarships. The developing solutions scholarships offered by the University of Nottingham in the United Kingdom for international students who has sheer dedication in developing the country after pursuing a Master’s Degree from the Nottingham University. The scholarships are designed especially for international students belonging to developing countries like Africa, India, Bangladesh, Nepal, Pakistan, Tobago, Sri Lanka, Turks etc. The university provides scholarships to 105 selected applicants every year and they receive 50 – 100% of waived off in tuition fee. To be eligible for this scholarship, you should be the citizen of Africa, India or one of the countries listed on Commonwealth, should not have studied abroad ever, and hold an offer to start a full-time master degree programme at University of Nottingham. The Lund University based in Sweden is designed to bestow scholarships to the top academic international students residing outside the European Union area. Students living outside the EU and wish to pursue Bachelor’s or Master’s Degree are highly encouraged to apply for the Lund University scholarship. The selected candidates scholarships can cover 25% to 75% and almost 100% of tuition fee. All in all, if you are interested in this scholarship, you should meet its criteria. Their criterion is that the candidates should be a citizen from outside the EU zone, and are suggested not to apply for it if candidates cannot secure the living cost which is required by Swedish Migration Board. K.U. Leuven scholarship programme is awarded by Katholieke Universiteit in Flanders, Belgium that offers Interfaculty Council for Development Cooperation scholarships to the highly qualified international students specifically coming from developing countries. Students from developing countries can apply for the Ph.D. scholarship in the largest university in Flanders. The university further provides various subjects to apply for. These include Doctoral or Pre-doctoral programmes in Social Sciences, Science, Engineering, Humanities, and Technology. 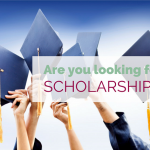 The scholarship provides selected candidates with wave off in tuition fees, receive allowances like monthly, housing, installation, and insurance like health and accident insurance. To be eligible for IRO Doctoral Scholarship Programme at K.U. Leuven, the applicant must be the citizen of Least Developed / Low Income / Low-Middle-Income Countries. Interested applicants should have excellent academic qualification followed by competency in demonstrating development oriented projects and so on. Since now you know the best 10 international scholarships offered by the world’s top universities. So, why not apply to one of these and unleash the path of your future career. These listed universities are not just the best universities in the world but also offers significant values along with scholarships such as waived off in tuition fees and providing allowances. All in all, don’t wait any longer and just apply for one of these universities. Before, you miss the deadline. Yes, it’s now your turn to ask us questions if you have in regard to the article or want to know more about the universities that offer the best international scholarships. If yes, please ask us via the comment box. Finally, do share the article and let people around you know about the 10 international scholarships offered by the world’s top universities. Next : What good does the Global Forum on Migration and Development do?